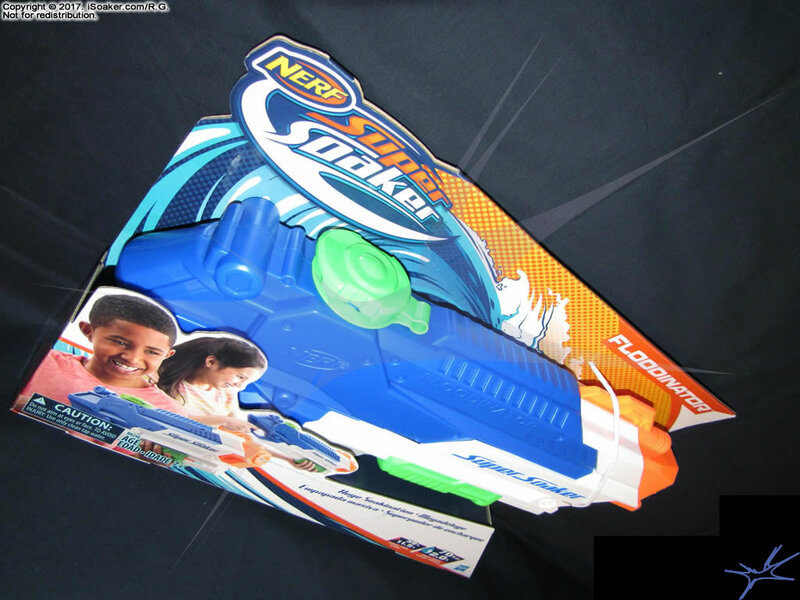 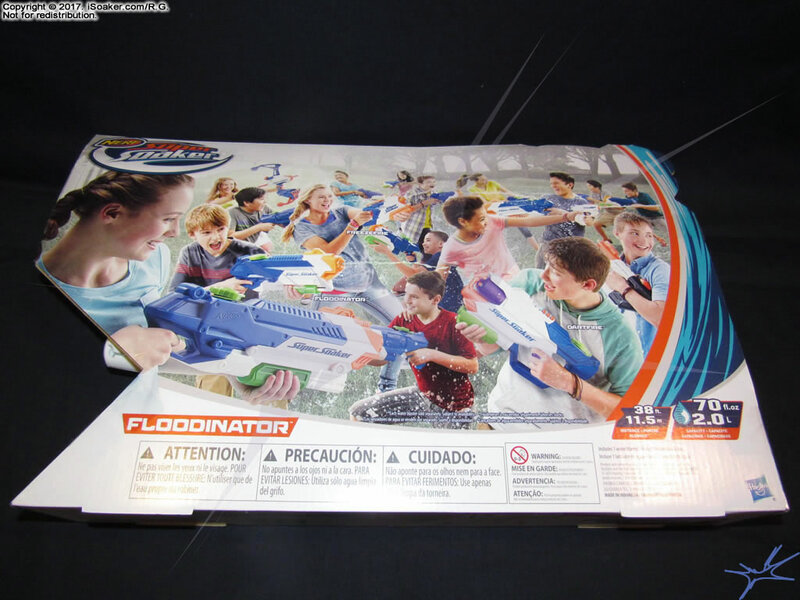 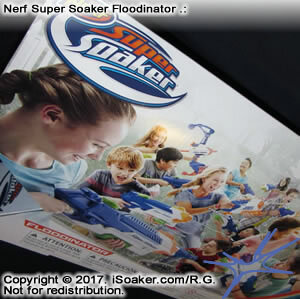 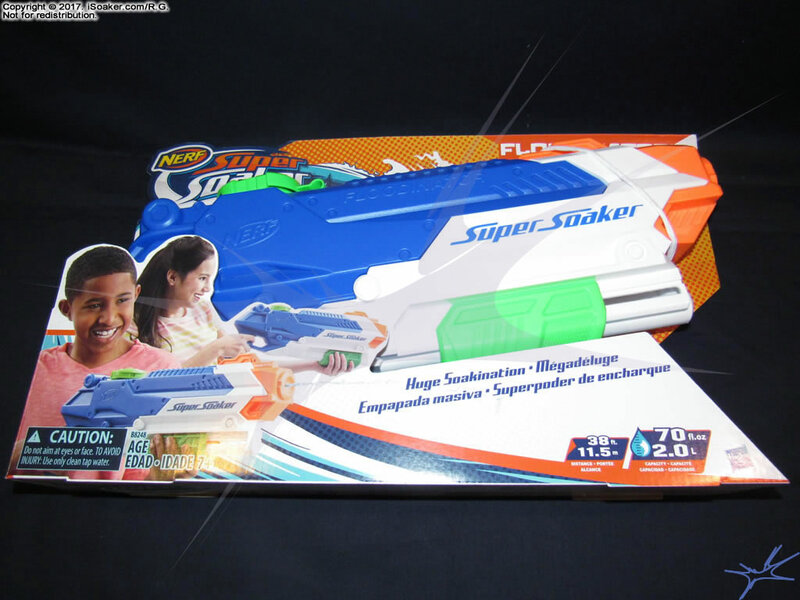 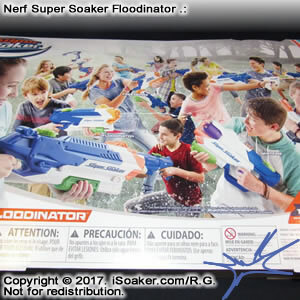 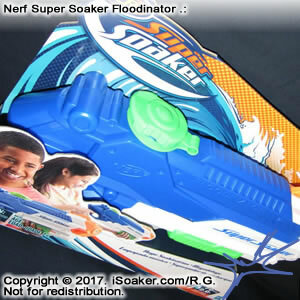 The Nerf Super Soaker Floodinator is a pump-action water blaster released by Hasbro Inc. for 2017. 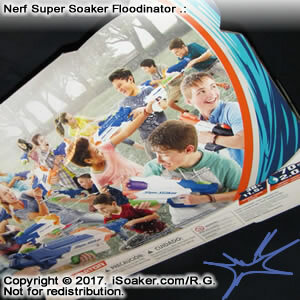 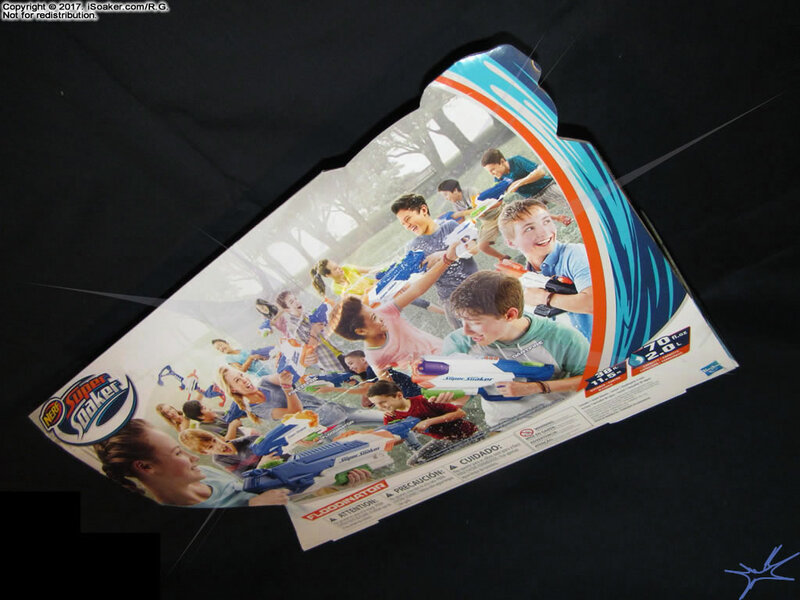 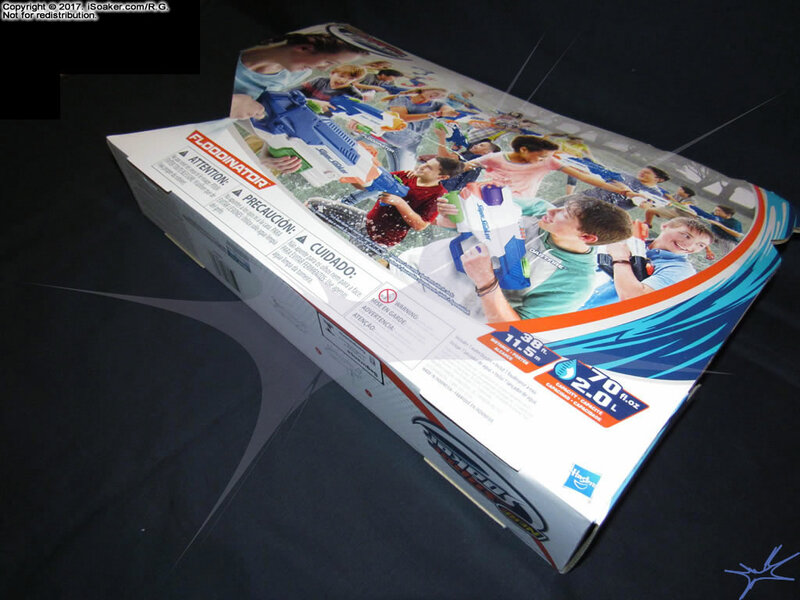 It is a mid-sized water blaster that holds a decent amount of water and features a snap-cap. 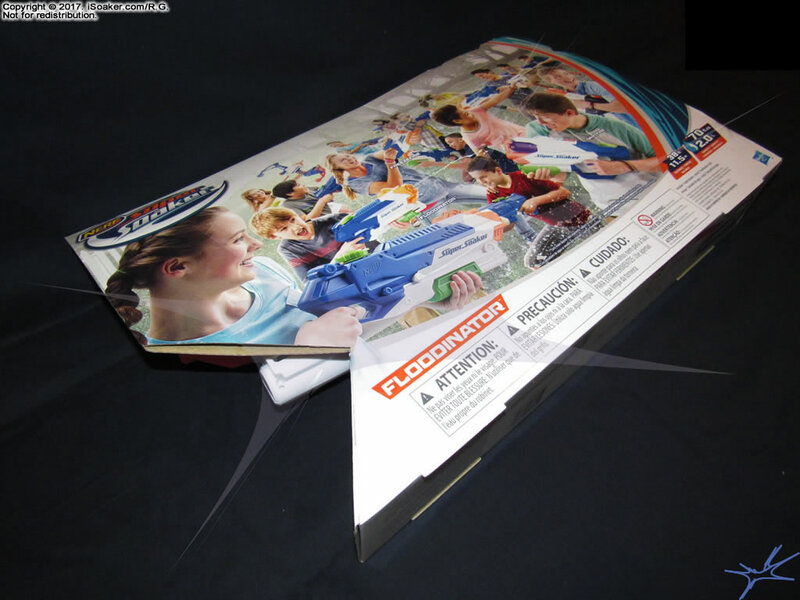 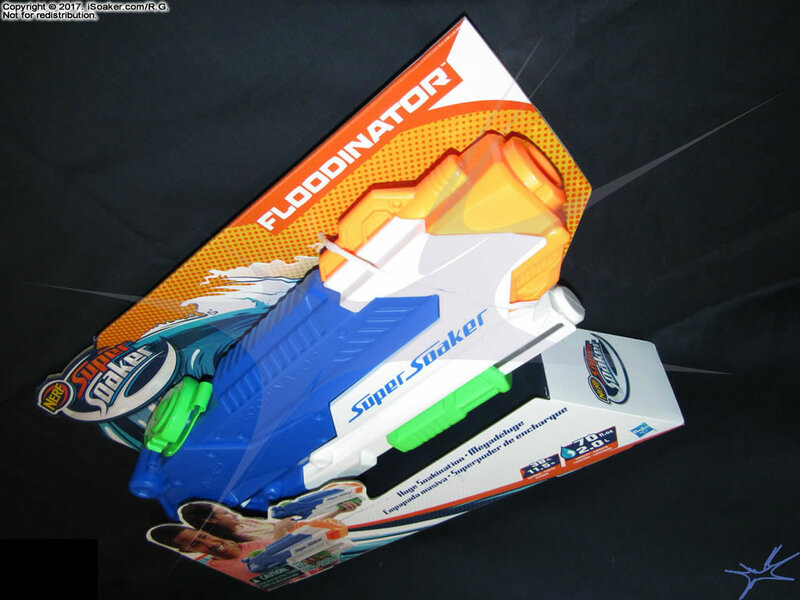 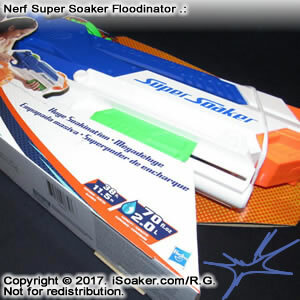 The Floodinator provides expected performance for a water blaster in this class. 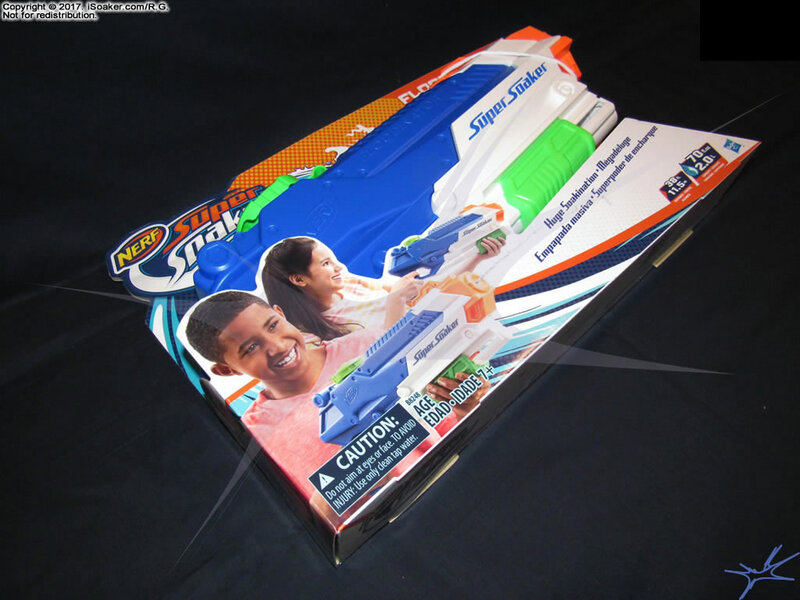 Pumping is smooth and streams produced by its single nozzle are decent. 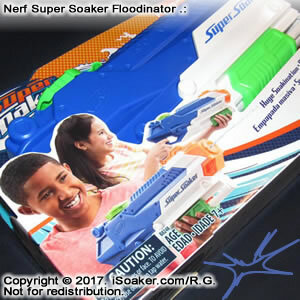 As with most snap caps, the air hole placed in the reservoir cap for allowing air to enter when water is drawn into the pump may dribble when the blaster is held at certain angles. 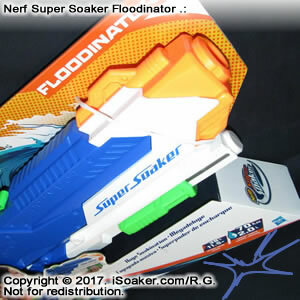 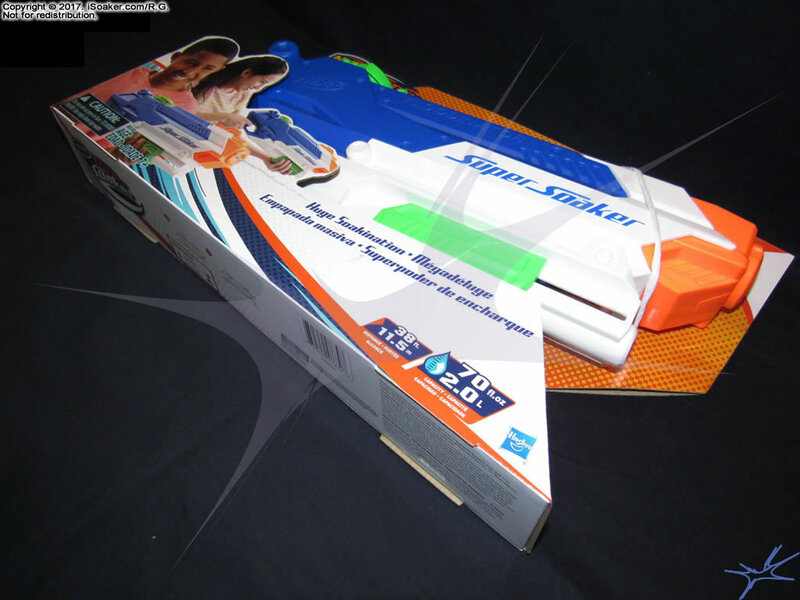 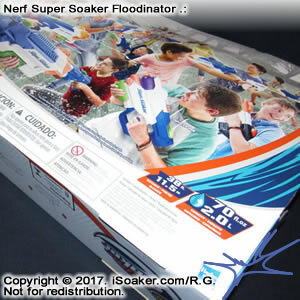 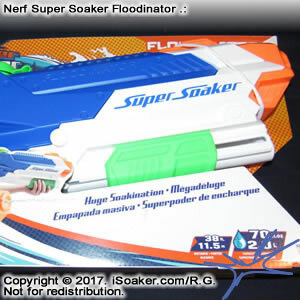 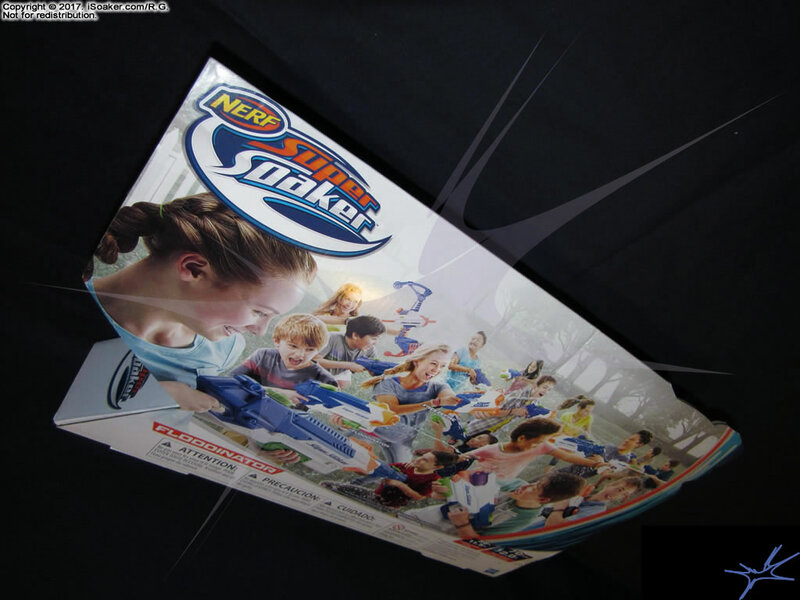 Due to the basic nature of the Nerf Super Soaker Floodinator, it is not being removed from its packaging for further testing. 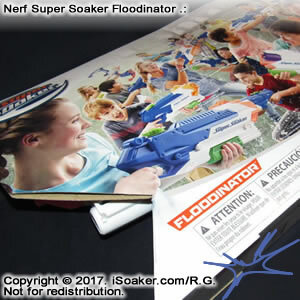 Good for small skirmishes or as a back-up water blaster, the Nerf Super Soaker Floodinator is readily outclassed by most larger pump-action water blasters as well as nearly any pressurized water blaster.